Thanks so much to author Liz Long who has taken the time out to answer some questions and to tell us abit about her new novel Witch Hearts - released tomorrow. ~ Can you tell readers about about yourself? 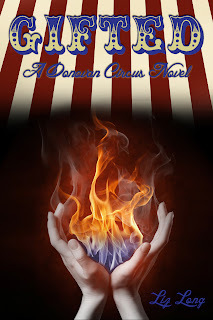 I'm Liz Long and I'm the author of two indie books now, Witch Hearts, and Gifted, a Donovan Circus Novel. I'm the social media editor with a publishing company in Roanoke, VA - I run all the social sites and blogs, as well as write for the print issues of my company's magazines (city, travel, and wedding respectively). I am so lucky to have my job and realise it every single day! I can talk for days about my dog Fisher, and I'm married to a musician who, after 10 years of being together, can still surprise me with a cover of Justin Timberlake's "That Girl" for my 28th birthday. ~ When did you develop an interest in writing? 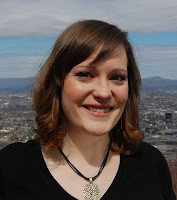 I've been writing since the second grade - my first story was about unicorns. I was a reporter and then editor in chief of my middle school newspaper and knew then it was my favourite thing in the world. Since then, I've written for my college paper, local publications, guest posts on blogs, and of course now my own books. Journalism, blogging, fiction - I've done it all and still love every minute! ~ Can you tell us about about your new book Witch Hearts? Sure! 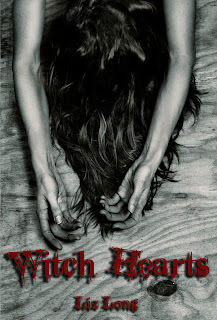 Witch Hearts is a paranormal thriller in the same vein as "Kiss the Girls" or "Criminal Minds" but with a witchy twist. ~ Where did you get your inspiration for it? Honestly, I'm a bit of a paranoid person when it comes to my safety. I'm vigilant when alone in parking lots or in the city, constantly suspicious of creepy looking folks (even though my city is ridiculously safe). Despite living in an incredibly safe neighborhood, I still flip out at noises at night because I'm terrified someone is breaking in serial killer style - and when my husband goes away for a night, I tend to leave pots and pans in front of doors as a ghetto alarm system. I love fantasy, so when I sat down to write about witches, I took a few fears of my own and wrote them down - there's a particular scene where Ruby goes into a dark basement that is every bit of one of my nightmares. The opening chapter is also something that terrifies me (to be kidnapped off the greenway during a run) and I wanted to creep people out as much as I can be sometimes - something I've apparently accomplished since three of my close runner friends are too scared to run near dark now! ~ The Witch Hearts cover is half eerie half intriguing! Who designed the cover? 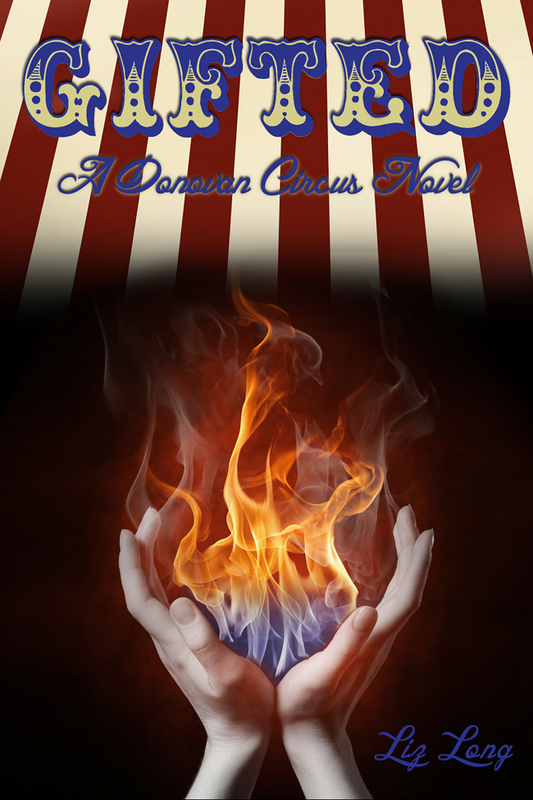 Erica Dickson is my cover designer - she did my Gifted, A Donovan Circus Novel book cover as well. She's also my best friend, so we're like, the best team ever when it comes to creating our projects. ~ What book are you currently reading and are you enjoying it? I just finished Cassandra Clare's "Clockwork Princess" and really enjoyed it (despite needing to read a "Previously On" post since there's so much that happens!). A great read that wrapped up the entire Infernal Devices very well (and with a tear or six in your eyes). It was such a unique story that I actually liked much better than the Mortal Instruments; perhaps it was the Victorian twist to everything, or maybe I just liked Will that much :) The next book I plan to read is going to be the last Sookie Stackhouse book by Charlaine Harris when it comes out next month. ~ What is one key piece of advice you'd give to aspiring authors? I say this a lot, but I encourage taking a break every so often. I used to feel so guilty about taking a night off to catch up on TV shows or hang out with my husband and then I remembered that's ridiculous! You can't forget to live in between your day to day jobs/responsibilities. I'd never say go days or weeks without writing, but we shouldn't feel bad about needing a night or two off every so often. Fans might want that new book out as soon as possible (and that's a great problem to have), but they'll appreciate a book more when it's a labor of love and not rushed just to get another title out. I just want to thank every single reader, Twitter friend, Facebook fan, and blog follower for their support. I really hope you pick up a copy of Witch Hearts - and love it, of course! It's a fun read for anyone who loves magic, murder, and mystery and I can't wait to hear what you think. Don't hesitate to email or tweet me - about anything! I love hearing from you. What did you think of the interview? Or about Witch Hearts? What you guys think of the cover?